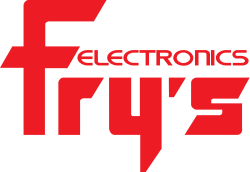 From Frys Electronics Deals, you can find electronics, computer, laptop, tablet and wine deals from all of the best brands for impressive low prices in Frys daily and weekly deals. Tips: Want to get the lowest price? Just check here for Frys black friday deals, promo code deals and holiday deals. Fry's has the 82" and 75" NU8000 4K HDR TV's on clearance and promo code can be applied to make these the best deals ever (i believe) on these Sammy's. The 82" was FP at $1800 a few weeks ago. In store pickup or local delivery. Still shows available for free shipping. Frys.com has the 75" Samsung QLED Q6FN on sale for $1599 with promo code 3584486. Free local delivery for those that live close to a Frys. Went to Fry's yesterday and was able to pick up a clearance SAMSUNG QN82Q6FN 82" QLED for $1,999 with use of "2288" discount code. The TV is amazing and at what I believe is an amazing price for 82 inches. At FRY's, listed price is $399 but with today's code, it is down to $299. Jamo S 809 floor standing speakers (pair) in black. Update. Less and less stores have them left. Most of stores that still have the TV is only open box. There are still a few stores that have them in the box. This looks like a good deal, regular is $39.99. HD has it for $39.97 with decent reviews.